Because different things work for different people, Vintage Playtime offers its customers a variety of payment options: PayPal, BACS transfer, debit and credit card, cheque, cash and Postal Order. Online payment is therefore no longer your only option. Instead, you can now send payment via bank transfer or even in the post! If you would like to make a purchase using a payment method not listed, then please get in touch via our Contact page and we will do our very best to accommodate your request. Our online shop works in conjunction PayPal. So if you have a PayPal account and would like to pay using PayPal, then when making a purchase from our website simply choose 'PayPal' from the 'Payment Method' options and follow the step-by-step instructions. Alternately, if you wish to pay with PayPal without using our online shop facility, then simply send us a message via our Contact page stating both the item(s) that you wish to purchase and your intention to pay by PayPal. 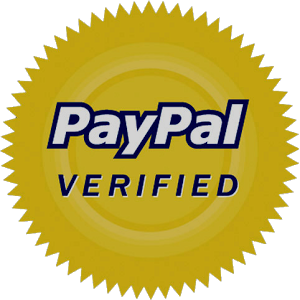 We will then raise an invoice directly to your PayPal account for your kind attention. We welcome payment by BACS transfer. If BACS is your preferred method of payment, then please send us a message via our Contact page stating both your intention and order details, and we will reply by way of an invoice that contains our relevant bank details. Payments made by PayPal and BACS are instant, safe and secure. PayPal will then guide you through the remainder of the process. Alternatively, you are welcome to call our team (0161 799 5999 or 07841 761 297) who will happily facilitate your card transaction over the telephone. During the 'Details' phase of your online transaction you are given the option of sending payment (e.g. a cheque) by post. In this case, your order will be processed online and an invoice confirming our postal address and payment details will be sent to you via email upon completion of your order. Your item(s) will then be dispatched once payment has been received and cleared. Alternately, if you wish to avoid an online transaction, then please send us a message via our Contact page stating both the item(s) that you wish to purchase and your intention to pay by cheque. We will then reply with an invoice that contains our payee details and postal address. Your item(s) will be dispatched once payment has been received and cleared. As with payment by cheque, during the 'Details' phase of your online transaction you are given the option of sending payment (e.g. cash) by post. In this case, your order will be processed online and an invoice confirming our postal address and payment details will be sent to you via email upon completion of your order. Your item(s) will then be dispatched once payment has been received. Alternately, if you wish to avoid an online transaction, then please send us a message via our Contact page stating both the item(s) that you wish to purchase and your intention to pay by cash. We will then reply with an invoice that contains our postal address. Again, your item(s) will be dispatched once payment has been received. As with payment by cheque and cash, during the 'Details' phase of your online transaction you are given the option of sending payment (e.g. Postal Order) by post. In this case, your order will be processed online and an invoice confirming our postal address and payment details will be sent to you via email upon completion of your order. Your item(s) will then be dispatched once payment has been received and cleared. Alternately, if you wish to avoid an online transaction, then please send us a message via our Contact page stating both the item(s) that you wish to purchase and your intention to pay by Postal Order. We will then reply with an invoice that contains our payee details and postal address. Again, your item(s) will be dispatched once payment has been received and cleared. Please note: we strongly advise that cheques, cash and Postal Orders are sent by registered post (e.g. Recorded or Special Delivery) as neither Vintage Playtime or its owners can be held liable for any loss incurred by reason of monetary item(s) missing in the post. Please see the Delivery & Returns page for more information about paying by cheque, cash and Postal Order.